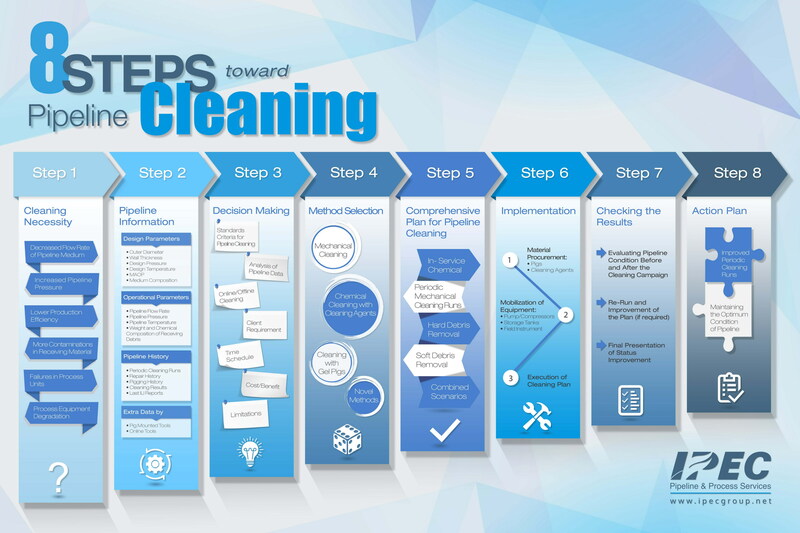 The cleaning procedures of the pipelines are set in 8 steps. The output of each stage is the next step's prerequisite. 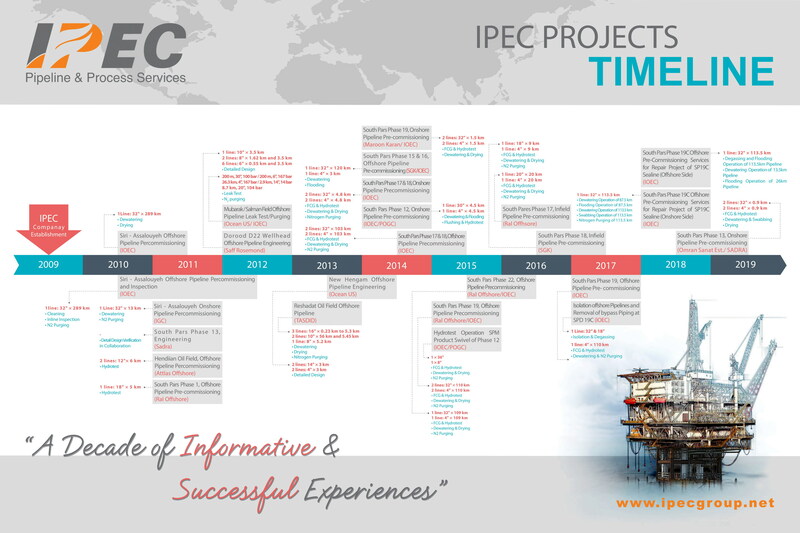 These steps are based on IPEC's successful experience and technical standards. 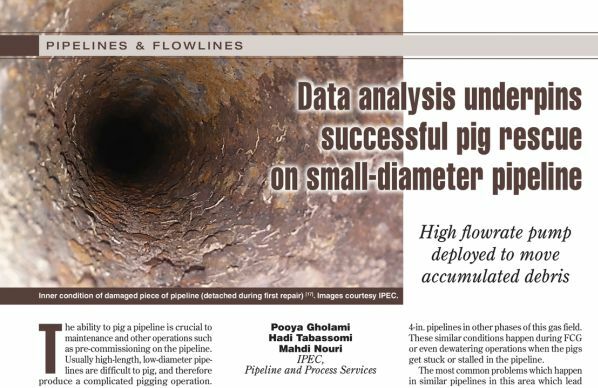 After a decade of effort and accomplishment of 25 successful projects in the field of engineering services, Hydro-testing, Pre-commissioning, Nitrogen Services, Cleaning and Maintaining of offshore and onshore pipelines. 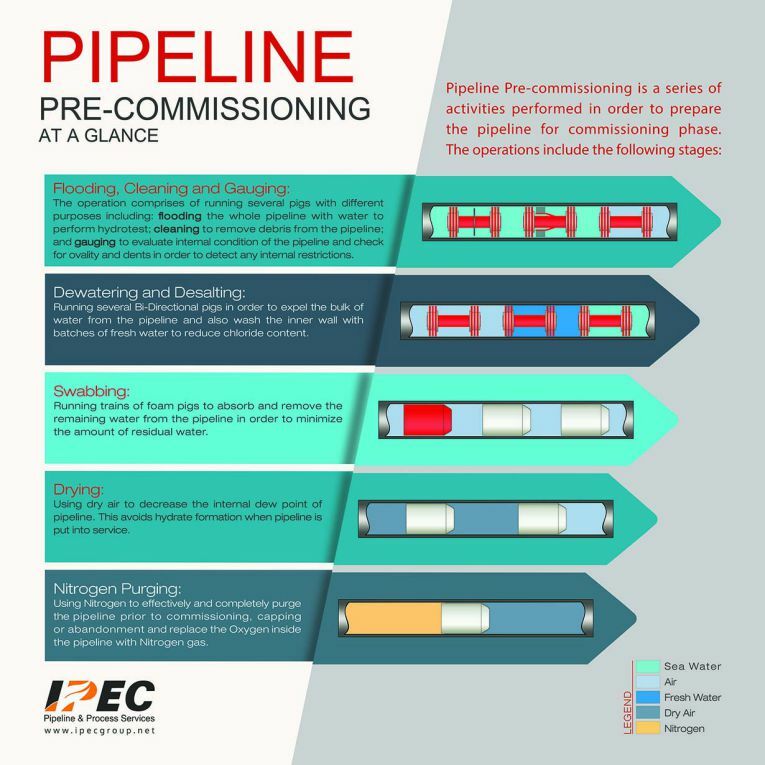 The stages of a typical Pipeline Pre-Commissioning project are explained in the following illustration. The activities in each stage have to be performed according to the approved technical procedure. It is important to finish each stage and then commence the next stage because completion of one stage affects the upcoming stages as well. 2018-10-10 | By: IPEC Co.